You can’t be a pure-blooded Cebuano/Cebuana if you haven’t tried tuslob-buwa (or at least heard the term somewhere). Although the practice of eating pig’s brain together with puso has already been present in Cebu for years now, the emergence of cleaner tuslob-buwa versions has made this budget street-eating tradition come to life again. 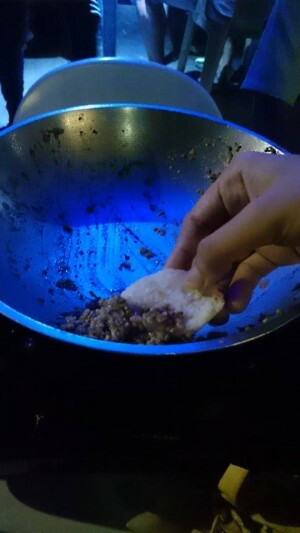 If you still don’t know yet, “tuslob buwa” literally means dipping into bubbles. The pig’s brain is mixed with liver, onions, and of course, oil (sometimes shrimps are also added) to create a bubble-filled dish that tastes perfect with Cebu’s puso. Yes, the preparation is that simple. All you need is a burning frying pan and the aforementioned mixture, which are all provided to you by the street stalls by the way, to achieve that saucy dipping, and you’re ready to satisfy your hungry stomach! Just don’t forget to have ice-cold soft drinks on the side to complete your street dining experience. Street dining the tuslob-buwa way is indeed more fun with a big company. You’ll have real fun and be able to divide the price of the set pretty well at the same time, making each one of you pay a minimal amount only after enjoying a delicious meal! Plus, the pig’s brain soup and the rest of the ingredients served are good for one group already. Well, you can always order for a second or third set as well as more pieces of puso if you run out and your stomachs are aching for more. The good thing about Azul and Narnia (another good tuslob-buwa venue found in Tisa, that small street across Gaisano Capital Tisa), and other newer and cleaner tuslob-buwa stalls is that they provide individual frying pans and ladles to each group, which means you only get to share your bubble-dipping meal with the people you know. So, what are you waiting for? 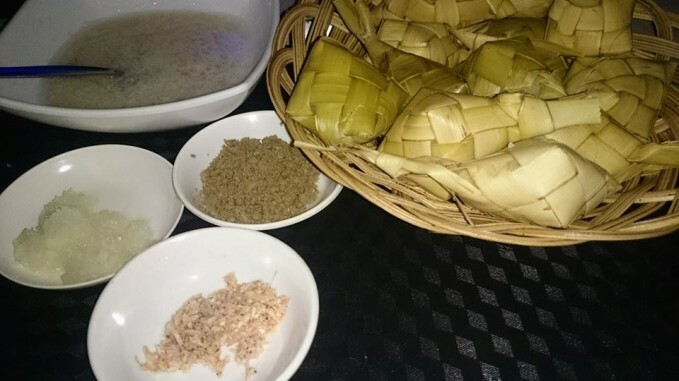 Try and enjoy a Cebu tuslob-buwa experience now!